For many people across the country, Thanksgiving represents a time of togetherness when the entire brood can gather around the table and sink into some family love – and a vat of mashed potatoes. For others, it’s a terrifying time of strife and stress. Well, get ready for the “normal” fabric of family dynamics to be stretched to its limits this year. In the aftermath of the most contentious U.S. election of our time, nerves are frayed, and two distinct and disagreeable (and that’s putting it mildly) camps of voters could make sitting across the table from each other more challenging than usual. So how can you get through it, and maybe even enjoy yourself? Here’s your Thanksgiving 2016 Survival Guide. Depending on your family dynamic, you may already be quite familiar with the whole drinking at Thanksgiving thing. But this year may call for more – and stronger – imbibing. What better way to make a statement about acceptance than by bringing in some new cultural dishes? Thanksgiving dinner is conventionally associated with very specific foods. Turkey. Pumpkin pie. Stuffing. Try blending American tradition and familial culture with food. Thanksgiving Bingo is a fun way to get through a strained holiday, but cards from years past probably won’t do this year. 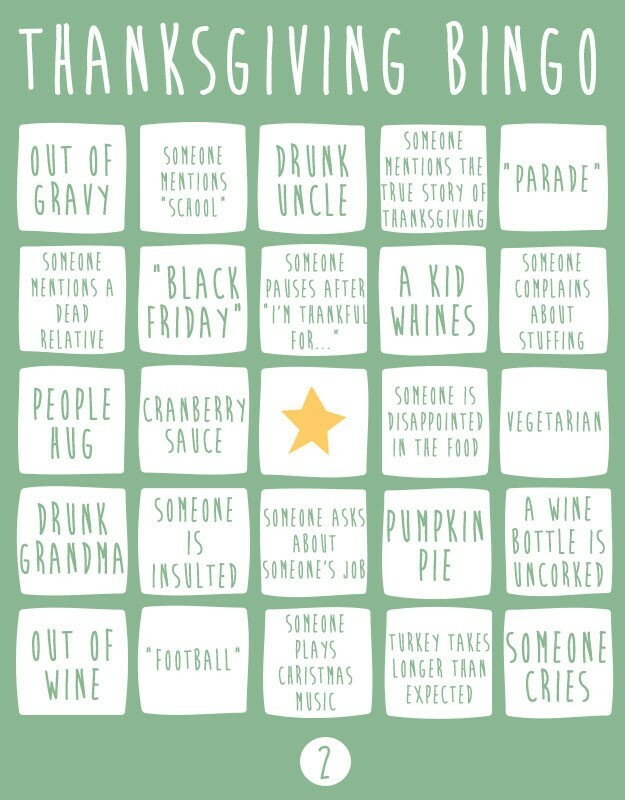 Generate your own Thanksgiving Bingo cards and pass them out to a few family members, or give them to friends who you know could really use some help at the dinner table next year. Keeping your ears open for the next winning phrase by making it a game could help soften the tension. Maybe what your family needs this year is to not sit down to eat together at all, but, rather, to be of service. Volunteering at Thanksgiving can be rewarding for those who are on both the giving end and the receiving end. It’s easy to get lost in the minutiae of sorrow or regret, especially when the big picture is also not one you can find much solace in. Whether you’re feeling dread at what the next four years hold, or if you’re feeling joy, or somewhere in between, taking a moment to get in touch with what you’re grateful for can be powerful. Health, wealth, a good job, strong friendships, a loving family (even if this year some are a tad less so), and a table full of food to enjoy offer plenty of reasons to be thankful, which, not coincidentally, is the name of the game on this holiday. The Kingsburg real estate market held steady through the month of October. Our inventory went up to 26 Active listings, which is still incredibly low, and our sales creeped up a little. We closed escrow on 8 properties as opposed to 7 in September. What is notable, is the fact that the price per square foot jump up to an average of $157, for both Active and Sold properties. Days on the market (DOM) also decreased down to an average of 30 days, which is real good, as this means inventory is moving. We do anticipate a softening of the market as we head into the holidays. And speaking of the holidays, the entire staff at The Housing Connection and New Era Financial wish all of you the very happiest of Thanksgiving and truly hope you are able to share your day with family and friends. Saw this article the other day and thought it was worth sharing. 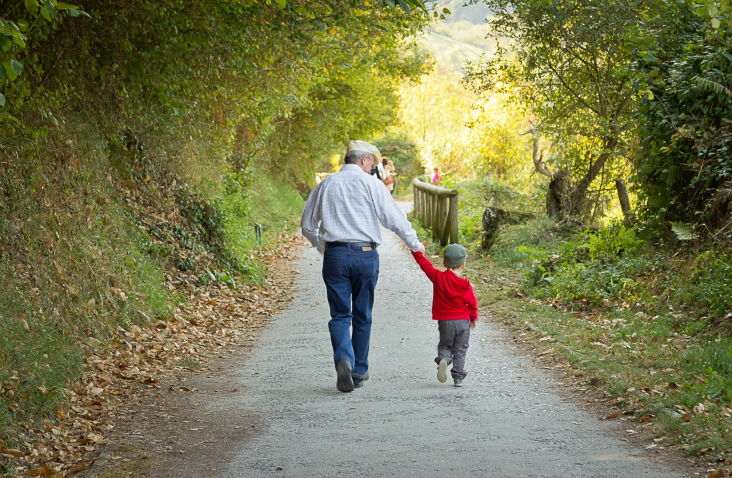 Talk to your grand kids if you have them! Describe how their grandparents met. Describe the day their parents were born and how you felt. Describe the day they were born and your feelings about being a grandparent. Talk about your first job and what you learned from it. And be sure and tell them of your proudest achievements. They do want to hear! Okay, on to real estate. Inventory in Kingsburg went up a tick and sales dropped by one half. We currently have 24 homes for sale within the city limits and we had 8 sales in the month of July. Price per square foot (PSF) held pretty steady for the sold properties, coming in at $150. It looks like the big spring/summer push is winding down. It seems like once school starts, the market slows way down and tends to stay that way through the fall and winter months. Last winter was an anomaly in that February and March were real busy months. It will be interesting to see what this winter holds. Interest rates are still very low, inventory is still way down in the low 20’s and values have been creeping up for the past 18 months. All good indicators of a strong real estate market. Remember that we can help you with all your real estate needs, whether it’s buying, selling or renting properties and if you are looking for that perfect loan. As always, thank you for reading this blog about Kingsburg real estate. The time you take to read it is appreciated. And please feel free to comment, as we do love to hear from you. The American middle class is losing ground due to the widening gaps in wealth. 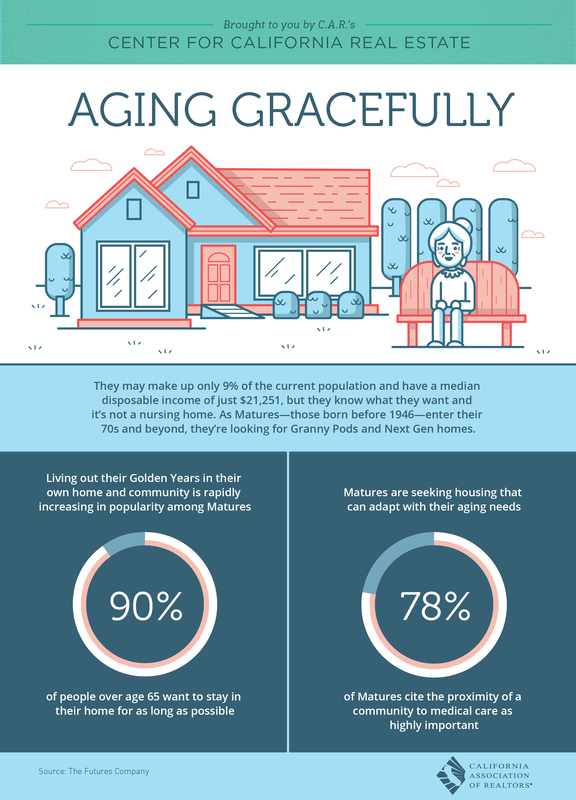 But a home is often the single most important asset of lower and middle-income families, and homeownership is a tool for wealth creation. The broad class of consumers in the U.S. is undergoing a rapid transition as economic insecurity lingers and consumers redefine how to live within their means. 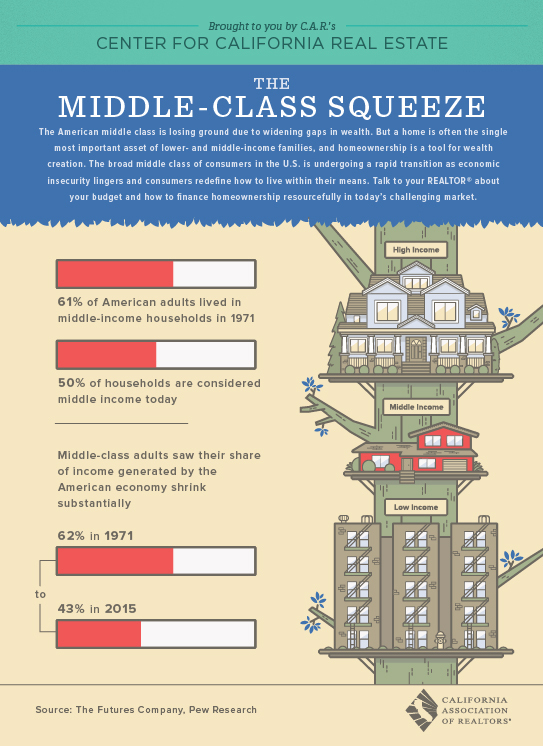 As the attached infographic shows, 61% of American adults lived in middle-income households in 1971. Today that number is 50%. Our real estate market here in Kingsburg would fit mostly in the middle-class bracket. Locally we really haven’t seen much of a decline in either wages or consumers struggling to live within their means. 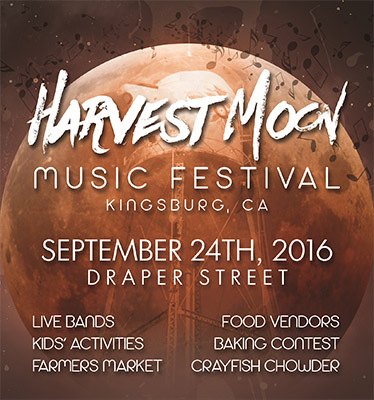 Another good reason to live in Kingsburg. Our market dropped somewhat in the month of April. We had 24 Active listings (which is still very low inventory) and had 6 sold properties. In March we had 28 Active and 16 Sold. The average price per square foot in April ticked down to $138 compared to $151 in March. Normally, the market this time of year is pretty hot, but for some reason, all sales are down. 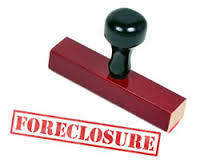 I knew in February looking at the upcoming escrow closings that March would be a banner month. Concerts Under the Stars: June 23rd & 30th; July 7th, 14th, 21st, & 28th, Memorial Park (Vendor area opens at 5pm) (Concert starts at 8pm). 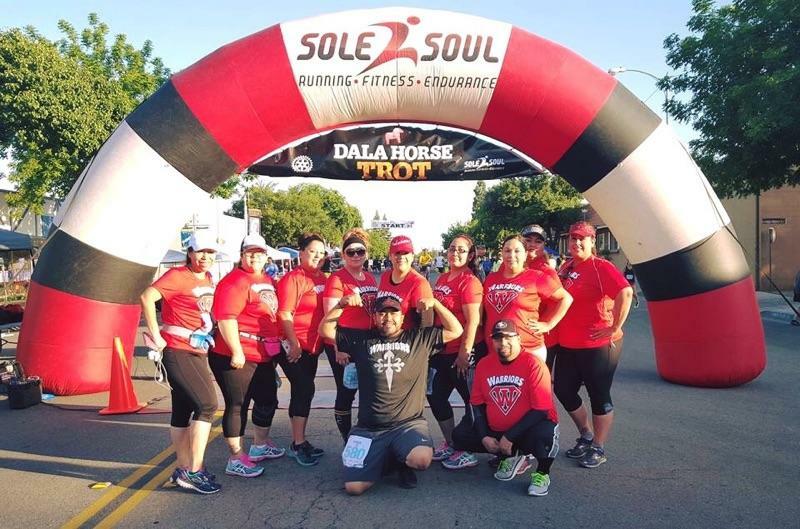 Please join us on June 30th as our sister company, New Era Financial will be sponsoring that night. We have awesome “Pride in America” cling flags as a give-a-way.